Have you seen our new website?! 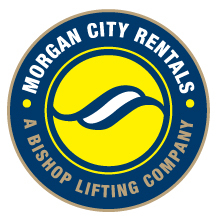 We have recently fully revamped www.morgancityrentals.com. Make sure to follow us on LinkedIn and Facebook! Stay up to date with everything happen at MCR! Morgan City Rentals has become a leader in offshore rental equipment due to our commitment to quality assurance and safety. Our team is dedicated to ensuring our quality policy has been implemented with all rental equipment. We have customized our inventory and personnel training to meet and exceed the requirements of our clients. Morgan City Rentals has a 4-step QC/QA procedure for each rental item in its rental fleet. This system was designed to meet customer's expectations and comply to the changing requirements in our industry. Click here to see our latest image gallery showing our dedication to Quality Assurance and rental equipment being loaded for delivery to offshore projects! 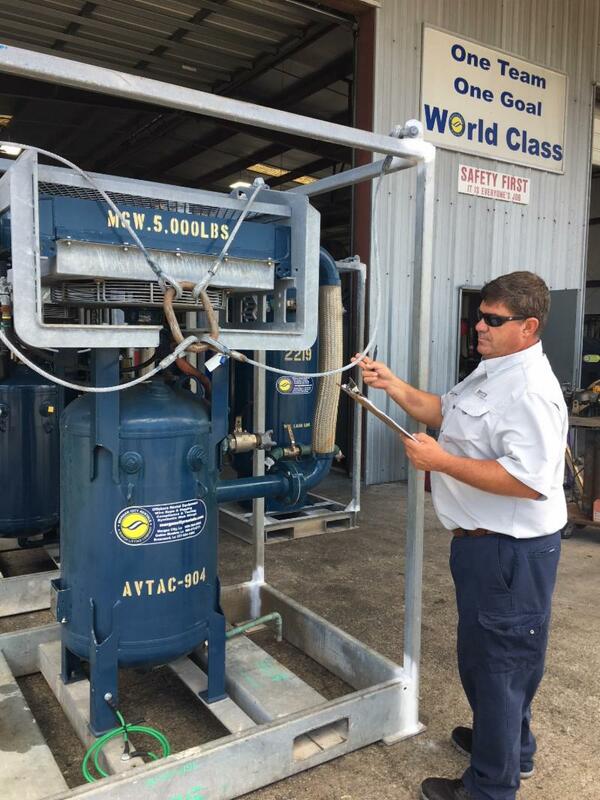 Kelly Goolsby, Quality Control Supervisor final inspection of a 6x6 diesel jet pump at our Morgan City Rentals, Morgan City, LA facility. 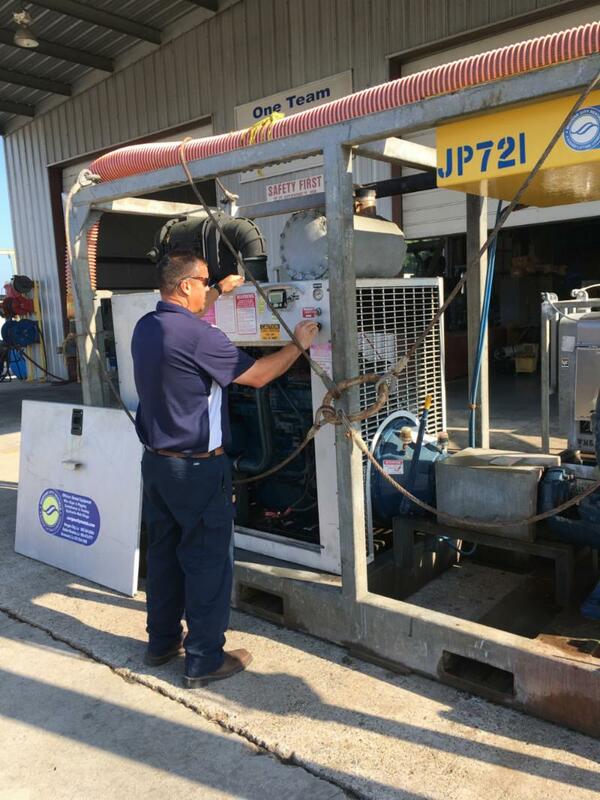 Kevin Mayon pre-loadout inspection on an Aftercoolers/Air Dryers/ Moisture Separator. Schmidt AirPrep Systems (Aftercoolers/Air Dryers/Moisture Separators) effectively provide cooler, cleaner and drier air to your blasting system while maintaining negligible drop in pressure. Wet air causes flash rusting, clogs blast pots with damp abrasives, damages control systems and reduces productivity. Drier air reduces wear, downtime and maintenance, saving time and money. Documentation, accountability and responsibility from our equipment management is the cornerstone to our quality control or quality assurance procedure. A Daily Checklist is the most useful tool for consistency! Is there a daily checklist as to what needs to be inspected prior to start up? If so, what items should be on this list? Is there a second person to verify that inspection is done daily? Emphasis on this procedure should be come a daily standard. MCR has the responsibility to prepare the equipment for offshore use, but on the job site, someone must take the responsibility to ensure equipment is properly maintained and being operated correctly. 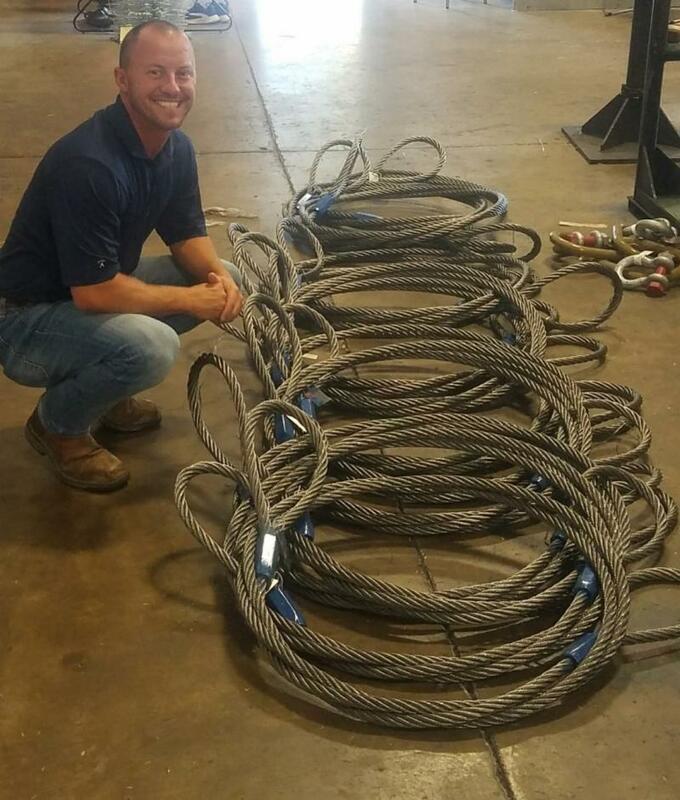 Stephen joined the Morgan City Rentals, Bishop Lifting and Delta Rigging team as an Outside Sales Representative in December 2017 bringing over 6 years’ experience in rigging and rental industry. Working from the Broussard facility, he supports the rigging and rental division for sales, rentals and services. Born and raised in Morgan City, LA. He is a 2001 graduate of Morgan City High School and 2009 graduate of the University of Louisiana at Lafayette and currently resides in Lafayette. He is involved with the community, serving on the Board of Directors for “SOTT” Southern Oilfield Tennis Tournament since 2011 and was the 2014 Chairman for the 40th Anniversary. He joined the LAGCOE Exhibitor Relations Committee as the Co-Chairman in 2017. Stephen’s married and has two amazing children. He mostly enjoys family time, fishing, tennis, golf, baseball and coaching the two kids in all their activities. and any other details that will help you in renting equipment with Morgan City Rentals.